Well, Tsurugi now tries to awaken the minds of the masses from the media brainwashing done by Jark Matter TV across the Universe. This doesn't sit well with them though. One of the Menasters is known as the sensationalist reporter Mediatsuyo. He's sent by Don Armage to counter the broadcast and make sure that the only "truth" known to the Universe is the truth from their biased broadcasting network. 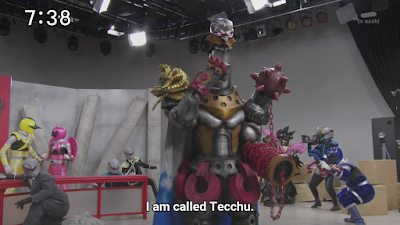 One of the Vice Shoguns known as Tecchu has showed up. He shows himself to be super strong. I guess Don Armage has managed to get better help. 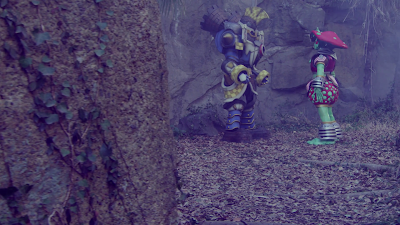 He also has a fight with Phoenix Soldier which leads to quite a clash. 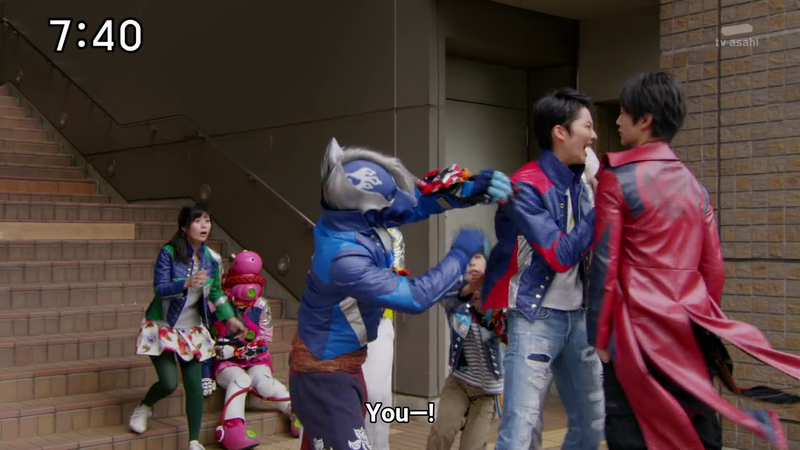 I thought about how Tsurugi does fit in the anti-hero trope. He pretends to lack concern for his comrades but later, he's seen to be still hurt. 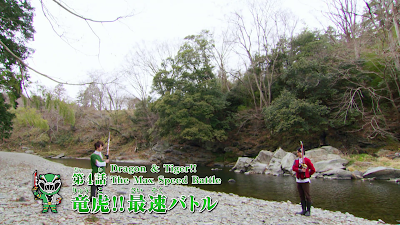 Is it me or is this the revival of the anti-hero tropes similar to Gai Yuki/Black Condor, Burai/Dragon Ranger and Naoto Takizawa/Time Fire? I have a bad feeling he might end up dead like those guys I just mentioned. 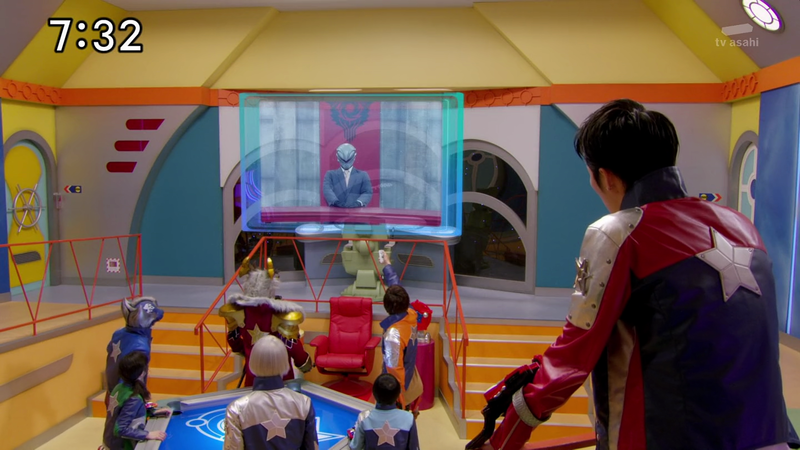 It's also revealed that he was placed by Orion under suspended animation after he was seriously injured. Sidenote, I also like how Eris isn't forgotten as a guest character. 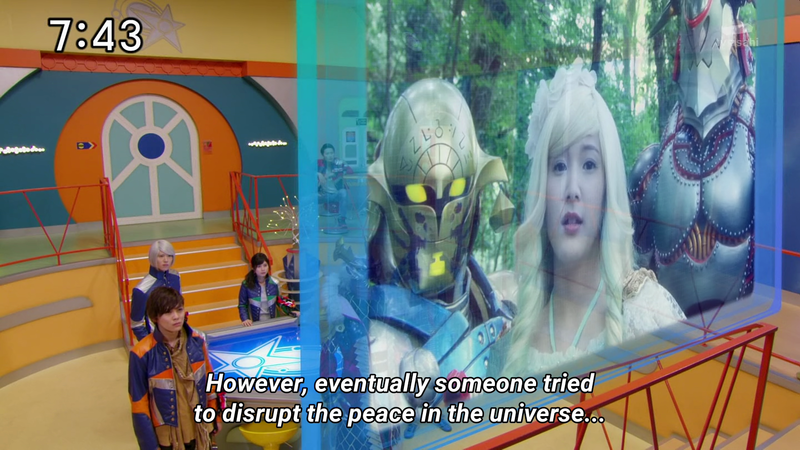 Kyuranger 19's adventure in Planet Keel wasn't left in the dark. 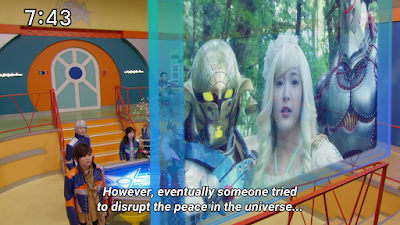 Even if Eris may not get a big part but at least we know the history behind the past and the present in Kyuranger's Universe. 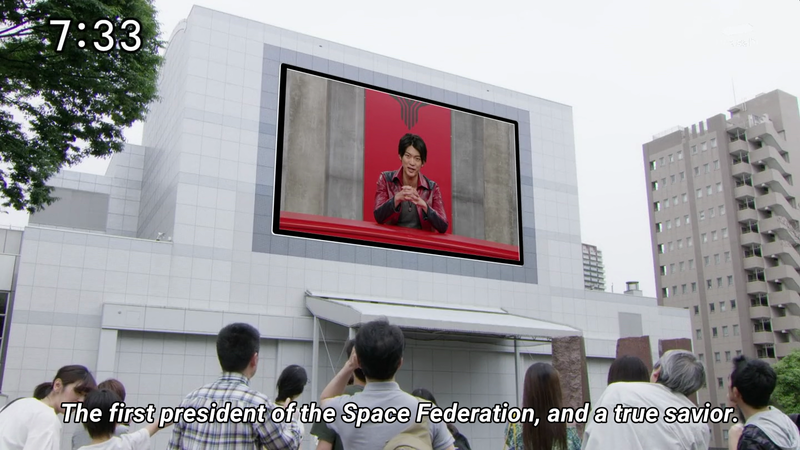 What can be clearly seen is that the plot concerning Tsurugi and Don Armage is starting to get expanded. 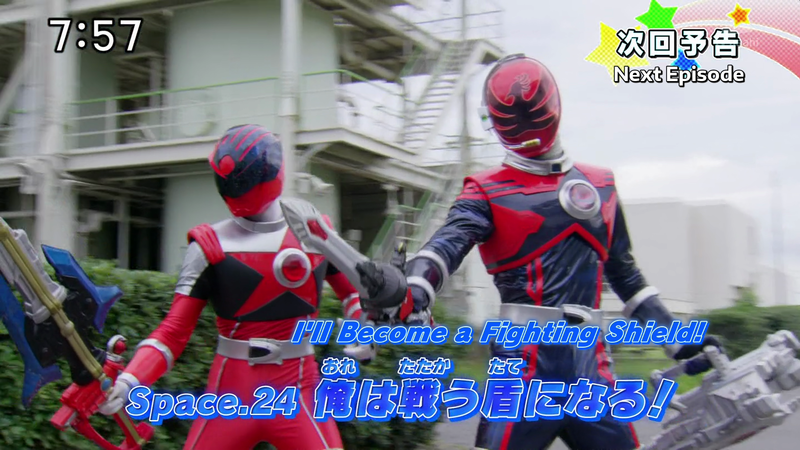 Next week will probably give us more details on Tsurugi's past. 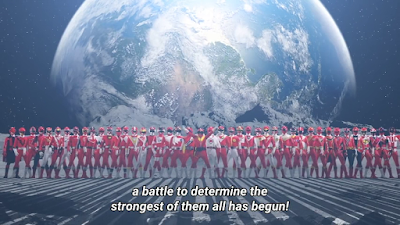 I hope that next week's episode will slowly but surely give us a really good plot to look forward to. Hopefully the revolution is on. Remember Stay Wary because the enemy doesn't give up so easily.